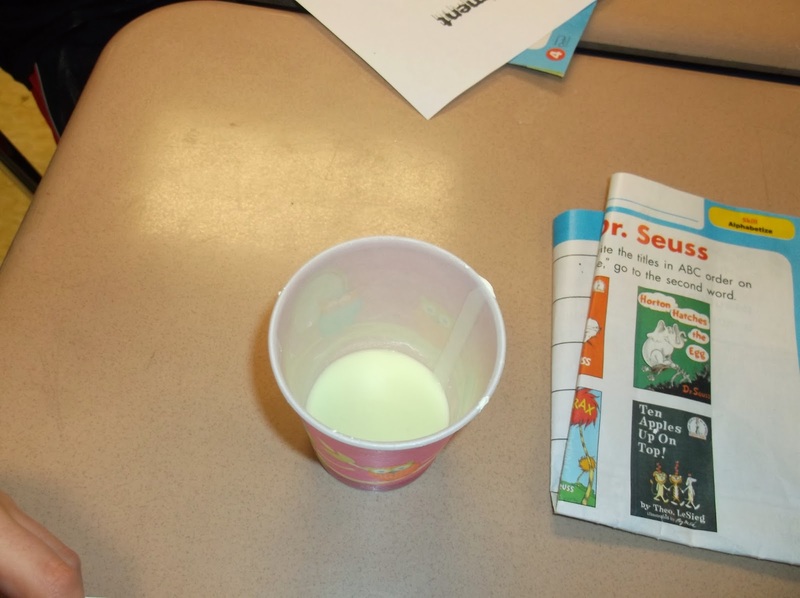 This week, we celebrated Dr. Seuss week. We started the week off with 2 more snow days. This makes our grand total of snow days 16. Hopefully spring is just around the corner. When we finally made it back to school on Wednesday, we had a very short week to complete Dr. Seuss activities. On Wednesday, we read Wacky Wednesday. We searched for all the wacky stuff happening on the pages of the book. The kids loved looking for the silly things. We also ready my favorite Dr. Seuss book Oh, The Places You'll Go! On Thursday, we read And to Think I Saw It on Mulberry Street. During the Daily 5, the students wrote about what they would see on the way home from our school. The Title of their paper is And to Think I Saw It on Preston Street. On Friday, we read Bartholomew and the Oobleck. Of course, we made Oobleck. This was also our science lesson this week. 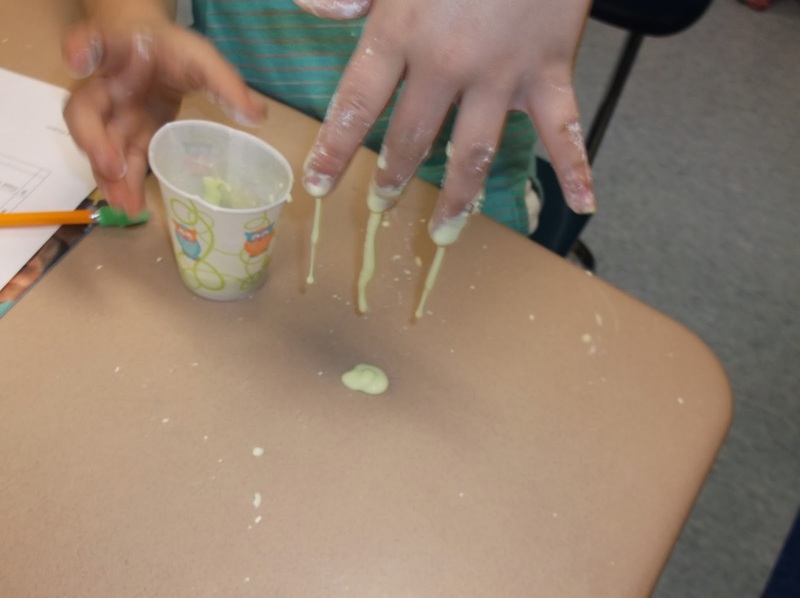 We talked about solids and liquids, predicted and confirmed, and observed our Oobleck. Of course the students go to take a sample of the Oobleck home. Oobleck still amazes me every time I make it. Dump the corn starch into a bowl. Add in water a bit at a time and stir. You will want to use your fingers, a spoon will not work. You want to add enough water to make the Oobleck appear runny. However, when you touch it, it is solid. I added almost 32 ounces of water. Of course Oobleck should be green! Adding a few drops of green food coloring will take care of this. I put a small amount in a dixie cup for each student to play and experiment with. It filled the dixie cup about half full. This made enough for 21 students. Click here to view and print experiment pages. We finished off the week by voting on a Dr. Seuss movie. The winner was How the Grinch Stole Christmas. So we had a movie and popcorn party with The Grinch!